Yeaaaahhh,I've been Interviewed By Lomographic Society International. It came as a suprise and I'm so very flattered happy as a baby boy! the chance to give my silly answers to their fun questions. 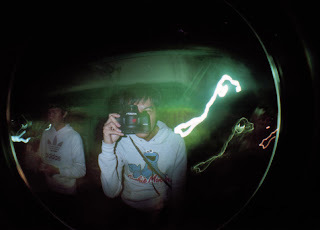 What’s your favorite photography/Lomography trick? I don’t have any tricks.. I just follow the rules from the books. hmmmm…. maybe not tricks just tips okay, tips from me to all fellow lomographer world wide is : just keep shooting people as your desired object of lomographs. Well I took many shots of my friend,family,girlfriend and yes they’re so cool to be shot. The cool thing about shooting people is you can actually feel the excitement when you point the camera at them and they like “come on,adi.. please take a photo of us…” I just love how people reacts everytime I shoot them with my camera. :) I love you all,people! Someone wants your photo up on a billboard. Which photo would it be? hahahahaa.. yummy yummy tapi sayang shong lg musim ujan disini..ckckckck..